While the majority of Lee students do choose to travel on a faculty led trip, we also have other options for students to fulfill the cross-cultural experience requirement. Students have the option to participate in an Individually Arranged Study in any country of their choice. This option gives students the opportunity to research and design a cross-cultural experience that is more specific to their preferences and personality. For instance, students can backpack across Europe, conduct baseball clinics in Costa Rica, teach English in China, or student teach in Ghana. Students who have had significant cross-cultural experiences prior to coming to Lee may qualify for Exemption from the cross-cultural experience requirement. 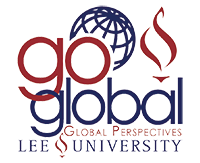 For students who would like to explore full-semester study abroad experiences not offered at Lee, we have Collaborative Programs all over the world where students are able to take courses that are pre-approved for credit at Lee.